Izabela is fabric and fibre artist living in centre of Dublin. By visual researching and experimenting with materials, she explores the world of shapes and patterns to create mesmerizing and startling objects. 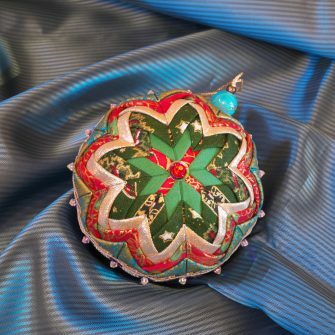 Baubles are created in many techniques, it is an exploration of patterns and possibilities. 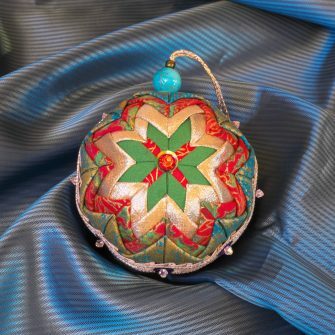 It is a try to recreate and bring to the market beautiful, long lasting ornaments. 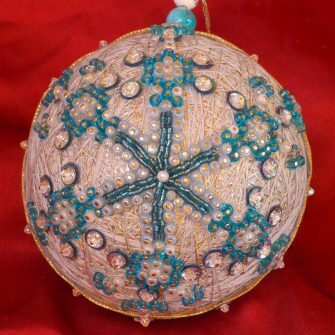 The inspirations include: Temari balls, patchwork, beads embroidery, slated dolls techniques, but most of all, the precious memory of Christmas Tree from long time ago.